loopup2u had the most liked content! Who is ready for some fun?!?!?!?! FPS[ocial] TIME! PTU 1.2 IS ROLLING OUT!! Guess a number of our members got the invite tonight. I think @[member='DecoyDrone'] serendipitously ran into Kryten in the instance he was in. @[member='Kraven213'] I was under the assumption this is just the social module that hit the PTU. I have been watching a stream, and up until now it is just Social Module stuff. Your gut feeling was correct. Please do not use this community to advertise a donation campaign to raise money for a better computer. Thank you. The simple answer it Both. Elite is out now with a ton to do. They are adding to their content at a healthy pace. Star Citizen will be out in the future, with a lot of content as well. I do not see any reason to limit oneself to only one of these games, if you are a fan of the space sim genre. Video of the convergence kill that almost didn't happen. 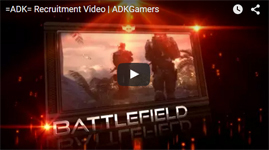 Gamescom August 7th 2015 Ship Sale & ADK Live-Stream Viewing Party!!! Hey everyone! News just came out about the ship sale that will happen during the Star Citizen Gamescom August 7th 2015 presentation. We will take this opportunity as we have with all previous Big Star Citizen Live Streams to have a get together in TS and Geek Out as a Group!! The following list of ships will be purchasable, "These ships will also be available online during the event for those that can not attend." As you can see there is a good group of ships that are fairly limited from the standpoint they are not normally on sale, besides special events and anniversary sales. Aegis Retaliator Anvil Carrack Drake Caterpillar RSI Orion Aegis Reclaimer Khartu-al (Xi’an Scout) Banu Merchantman These ships will come with Two-Years of Insurance. The event is scheduled to start at (11AM PST) / (2PM EST) Friday, August 7th. As most of us can remember, it will probably end up starting a little later then stated, due to technical challenges. For those who have never attended one of our viewing parties, they are a great place to meet your fellow ADK Star Citizen member, have a laugh, and afterwards usually play some Arena Commander. We will be sending PM's to member on our mailing lists, and if you can make it, please do!!! @[member='AOBLXIX'], what part of the fight card are you looking forward to the most? The Top 3 Fights on the Card I am looking forward to are the following. 1. Rousey vs. Correia (Reasons are obvious) I would be utterly stunned if Rousey did not dominate this fight from beggining to end. (Same thing I thought about Velasquez vs. Werdum, lol) I think the fight will either be finished in the first 30 seconds, or end before the end of the first round. It will certainly be vicious. 2. Silva vs. Palelei (Gotta give some love to the BigBoys! + Super Low % go to decision, from both fighters) Fight should be full of hard strikes, definitely looking foward to it. Would be completely shocked if this fight ended by decision. Picking Palelei, from a purely statistical point a view he has a higher percentage of fights ending in both KO/TKO and by submission. Additionally, I like seeing 0% next to fights ending by decision. Even if he looses, it should be exciting. 3. Vieira vs. Lopes (Super Low % go to decision, from both fighters) Taking a shot in the dark here, but if I had to put money on it, with out checking the line, I would probably bet on Lopes. Lets get some Arena Commander going this Week!! A big thanks to @[member='glyph'] for stepping up to help organize these play sessions. If you are looking to figure out what time your schedule lines up with the hours that are being discussed, make a post here, or lookup glyph on TeamSpeak. He can often be found in either the Star Citizen or Elite Dangerous channels. Thanks again glyph! Who is down to get some organized Arena Commander this week? We can shoot for Wednesday, Thursday, and perhaps Friday evening? If you are interested in joining us, let it be known here, so we can gauge the interest!